Sanctum 2 is out! The sequel to the 2011 tower defense/first person shooter hybrid has finally hit, and developer Coffee Stain Studios is celebrating with a nice little launch trailer. The video manages to capture the game's intense action quite well, showing off a lot of gameplay footage complete with guns, explosions, towers doing their shooty things, and enemies bursting into brightly colored goo. Delicious. We recently got our hands on an early build of Sanctum 2 and wrote up a nice little preview for your perusal. Sanctum 2 is, at its core, a lot like the original Sanctum. One key difference is a heavier focus on the first person shooting elements. Tower placement tactics have been pushed to the background, leaving you and your possible teammates free to lock and load. 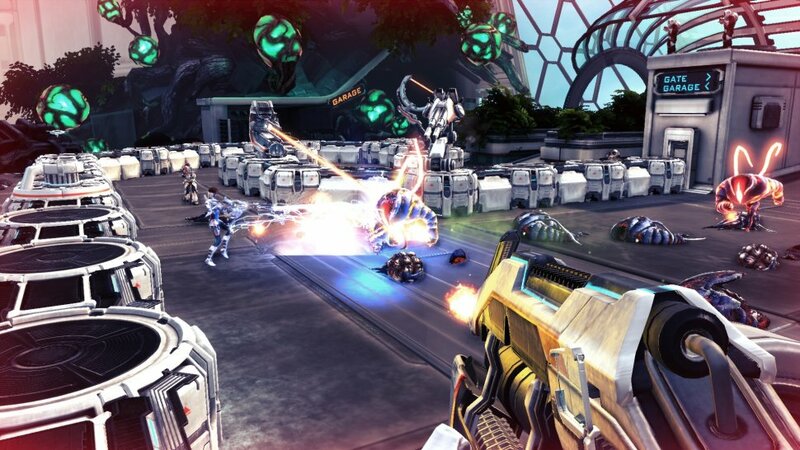 Sanctum 2 supports online co-op for as many as four players. It is currently available on XBLA and PC via Steam. The PSN release is scheduled for Q2/Q3 2013.